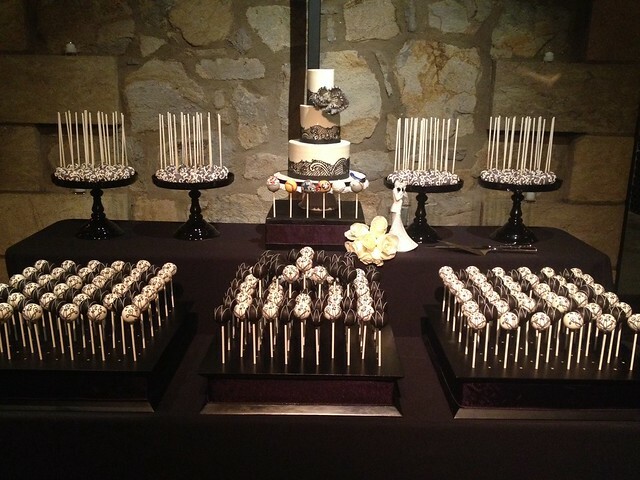 Cake Pop Weddings and Displays, 2012 Round-Up! 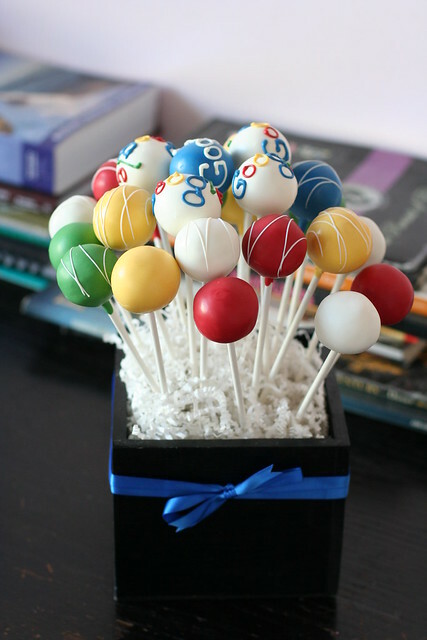 Hi cake pop fans! We’re so thrilled to share with you that 2012 was our biggest year yet! 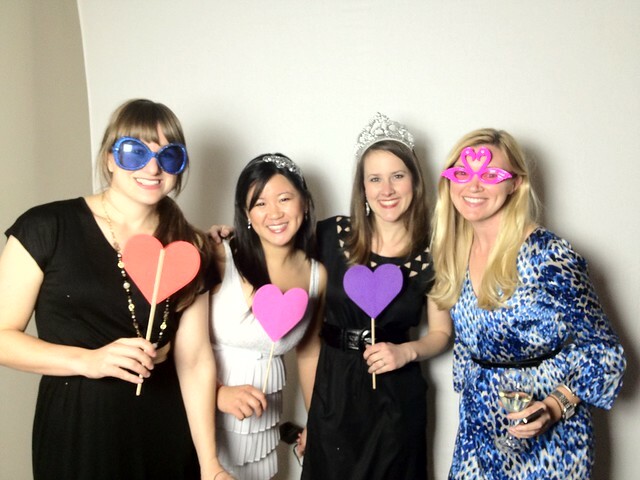 We were honored to work on over 50 weddings for our special brides and grooms. And also worked on numerous dessert displays for showers, dinner parties, corporate events, etc. Here are some of our favorites. We can’t wait to do more in 2013, call or email us today to book a free tasting! More pics to come this week! 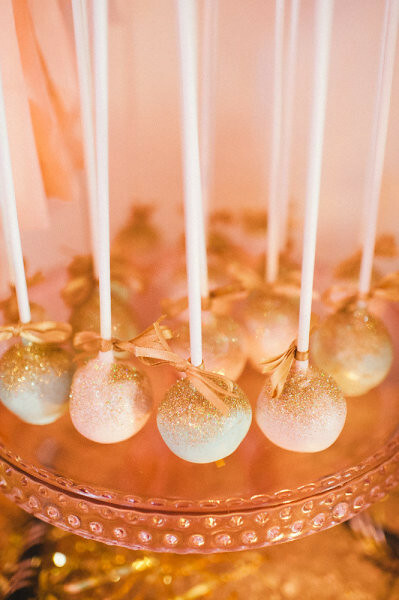 Close-up of gold glitter topped cake pops on our pink hobnail pedestal. Photo by Flory Photo. 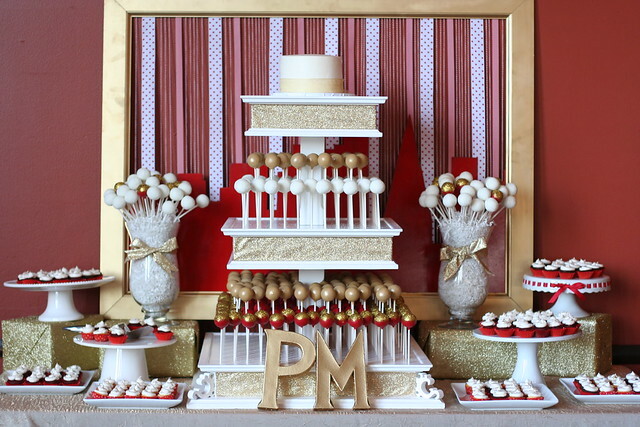 Red, gold and white cake pop and mini cupcake display. 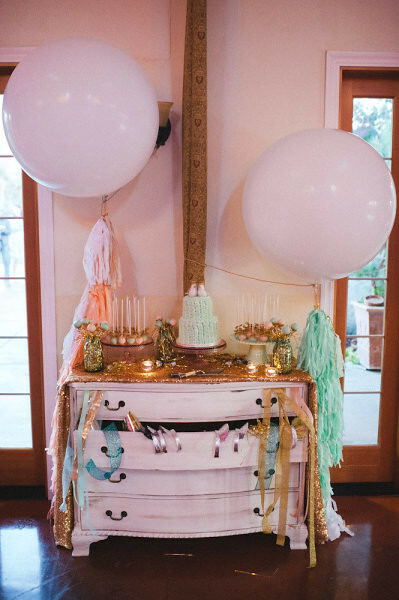 We love customizing the stand for each event, this time using sparkly gold ribbon around each tier. 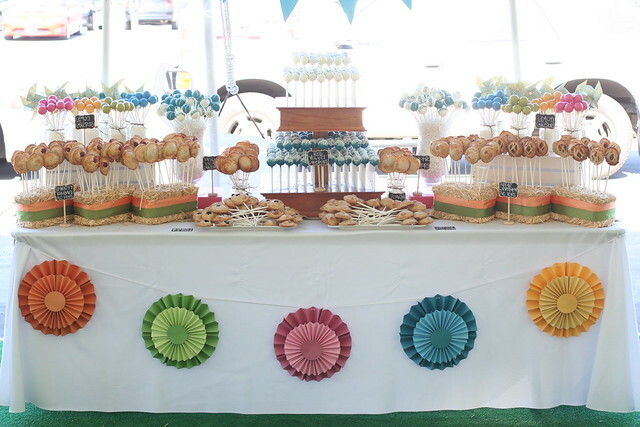 A cake and pie pop display for a corporate summer party. We created this using hay bales, wooden crates, mason jars, and mini chalkboard signs written out with all of the yummy flavors! 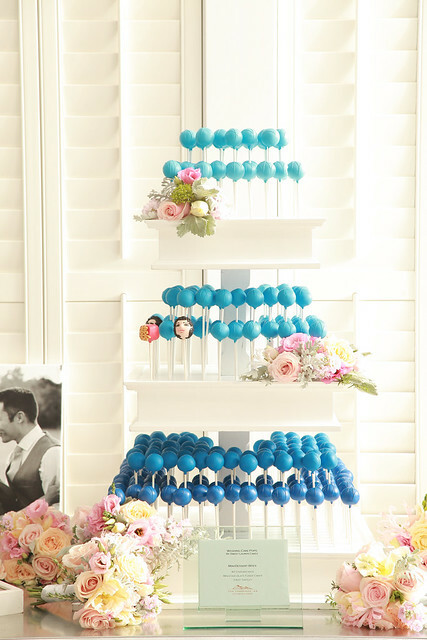 Ombre blue cake pops at Carneros Inn, Napa to match the bridesmaids dresses. Photographed by Kate Byars Photography. Preppy kelly green and navy really pop against the white stand. 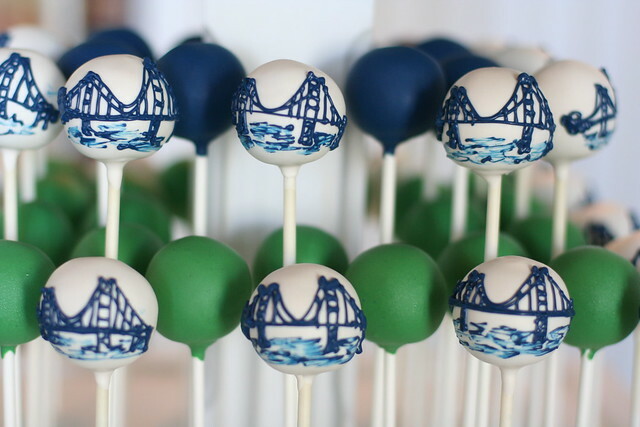 And have you seen those Golden Gate Bridge cake pops? Our owner Lauren is a true artist, each one is like a miniature painting! Coral and starfish decorate a table full of classic beach themed cake pops. Photographed by Jim Vetter Photography. 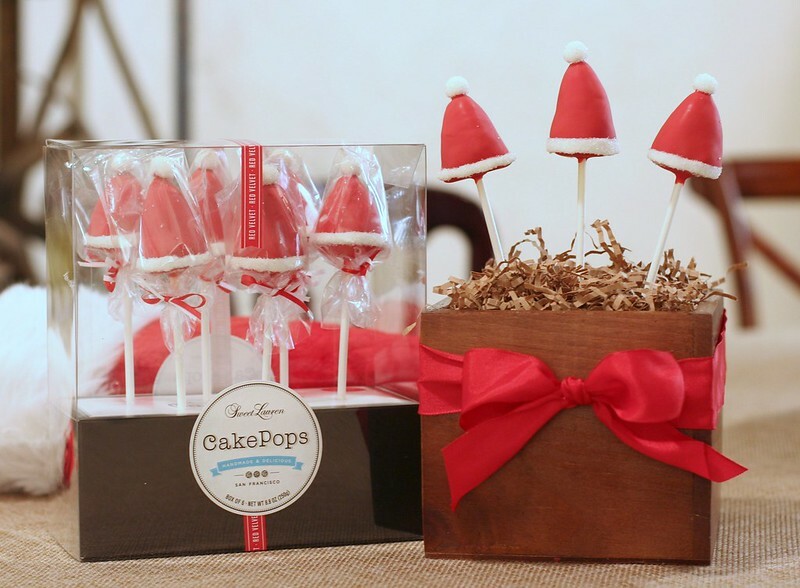 Special Cake Pops for the Holidays! Happy Holidays from Sweet Lauren Cakes! We hope you get to take some time this season to relax with Family and Friends, eat some great food, and celebrate another year. They’re are all available and ready to jump into your stocking, with guaranteed delivery by Christmas if you place your order by Tuesday, December 18th. 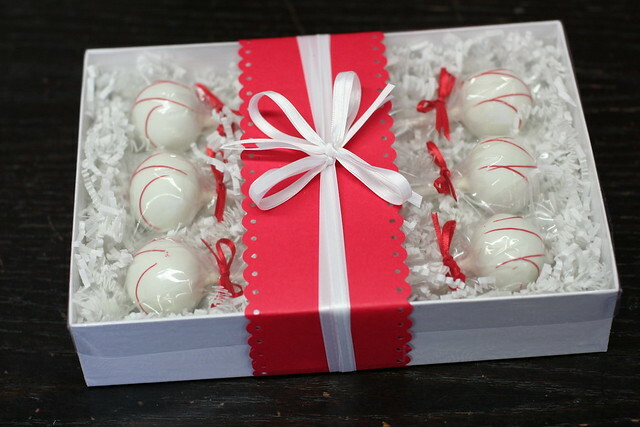 We’ve put together some special mixed flavor ribbon tied gift boxes, Chocolate and Vanilla Bean or Red Velvet and Vanilla Bean because we know that some people’s favorite flavor is BOTH! 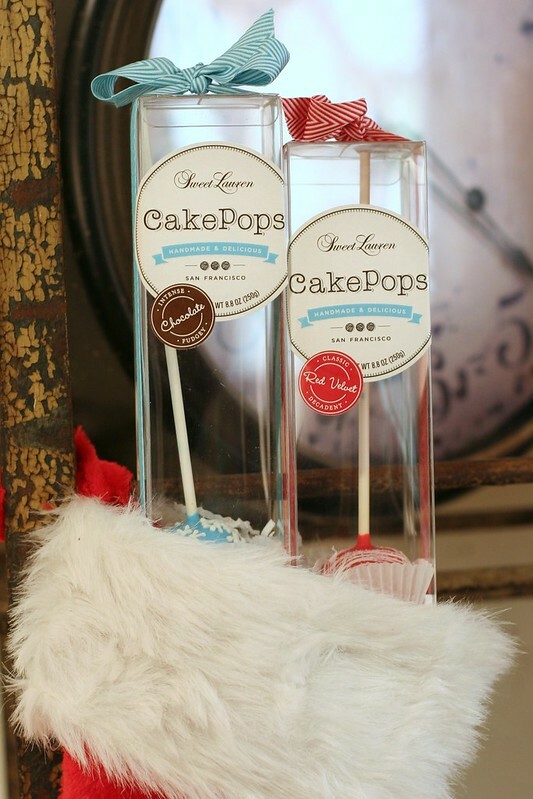 Cake Pops make perfect Stocking Stuffers, especially when packed in our cute individual boxes and tied with a bow! Available in Red Velvet and Chocolate. And of course, we have extra special Santa Hat, Christmas Tree, and Snowman gift boxes that you wont even want to wrap they’re so cute! 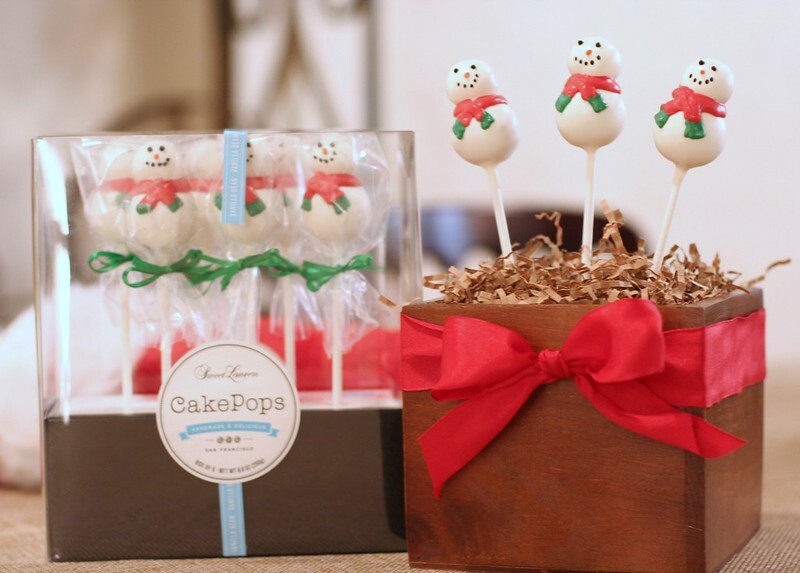 We think Vanilla Bean Cake is a much tastier way to make snowmen this winter season! 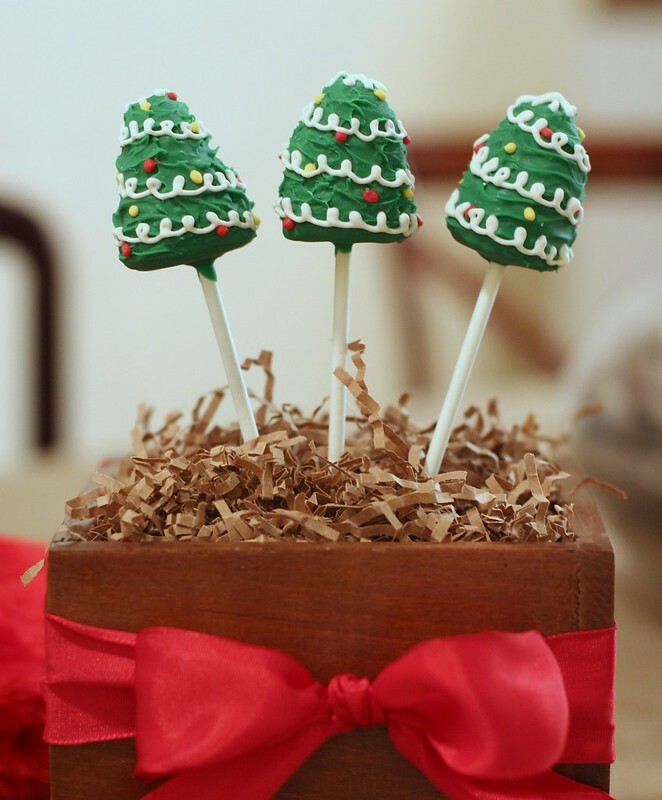 Relax around your big tree, and snack on some of these Chocolate Christmas Tree Cake Pops! Feast your eyes on the whole holiday collection right over in Our Shop! Wow, is it already that time of year again?! As we head into Thanksgiving this week, we know that the time has come to start checking off our gift giving list. Have you started? 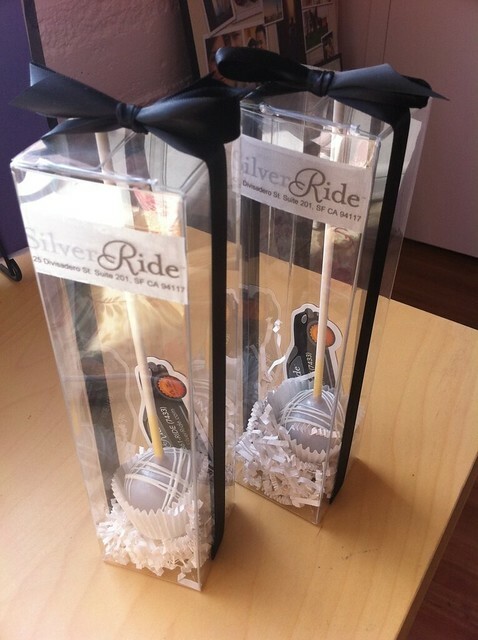 Last year we had a lot of fun designing custom cake pops for businesses looking to ship their clients a little something sweet. We’ve started taking more client gift orders already but still have room on the calendar! Please email or give us a call to place your order today! A few suggestions for gift packaging! Who wouldn’t be delighted to receive one of these delicious treats?! 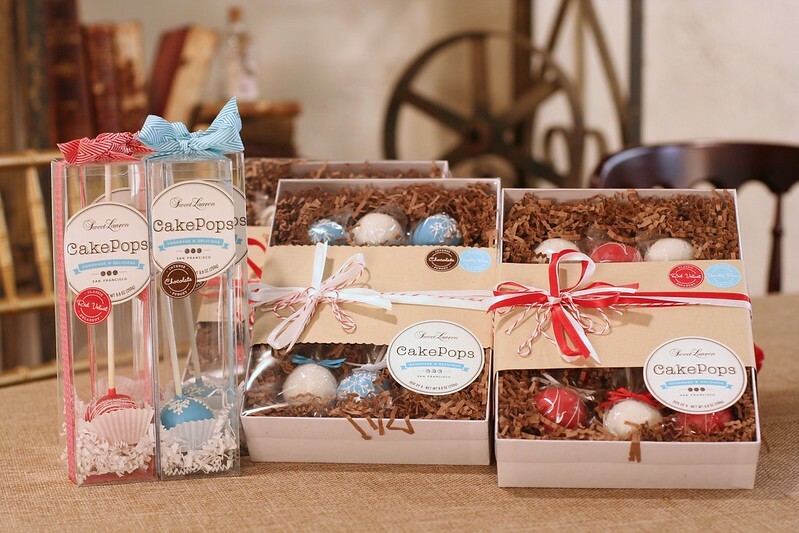 Cake Pop Client Gifts- the perfect sweet treat for your clients over the holidays! 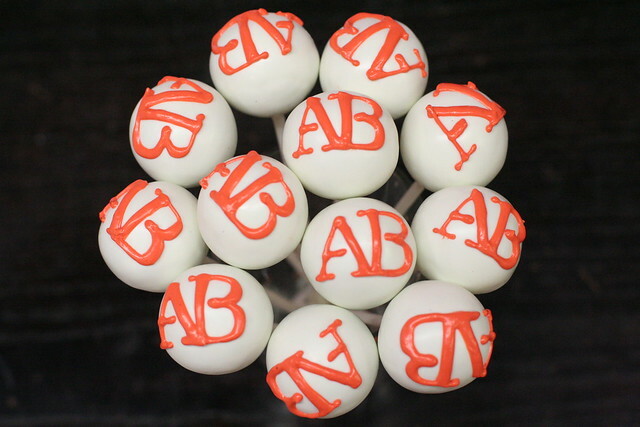 Close-up of customized cake pops with company logo and colors! 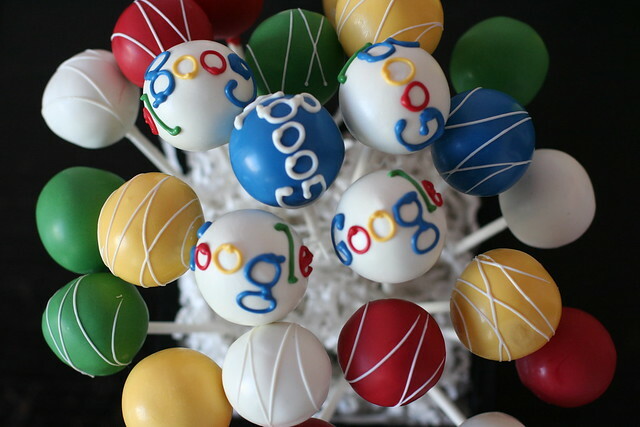 Custom Cake Pops dipped in your company colors! 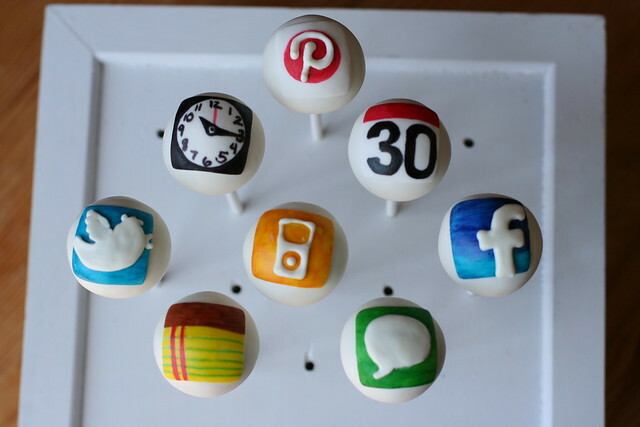 If your company has an iPhone app, we can make cake pops of it! Send some to your boss, of your boss! Individually Boxed with Custom Stickers and Business Cards, Branding at it’s Sweetest! Great news everyone! 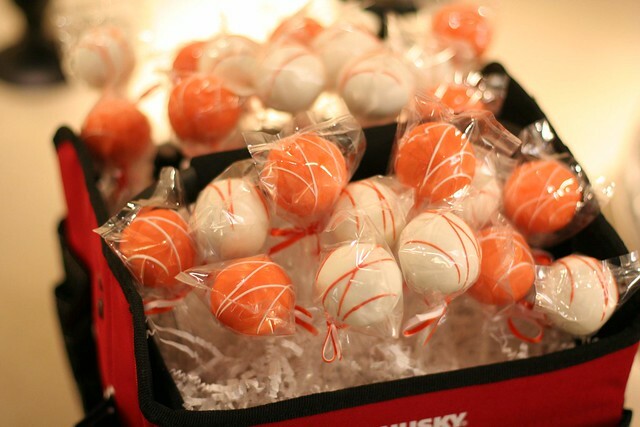 We now have our Halloween cake pops available in our online store HERE. Choose from a six pack of our delicious red velvet Black Cats, decadent Chocolate Pumpkins, or absurdly yummy Mummies! Each design comes in our handsome retail packaging that has it’s own built-in stand. Perfect for your Halloween sweets table! Also featured on Williams Sonoma! 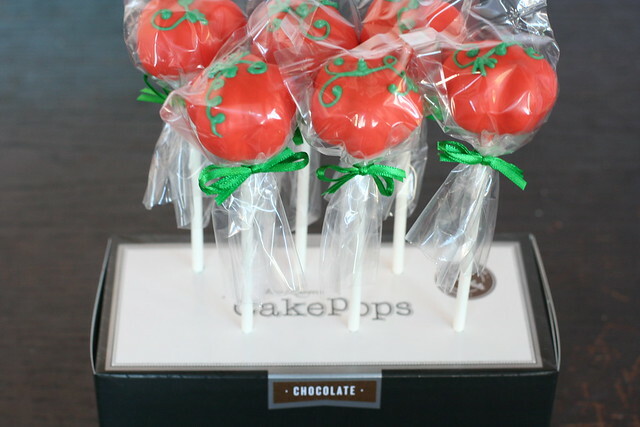 Gluten-Free Cake Pops Now Available! Having a sister with a gluten allergy, our owner, Lauren knows how hard it is to find yummy treats that are safe to eat. And we don’t want anyone to have to go without eating a cake pop! 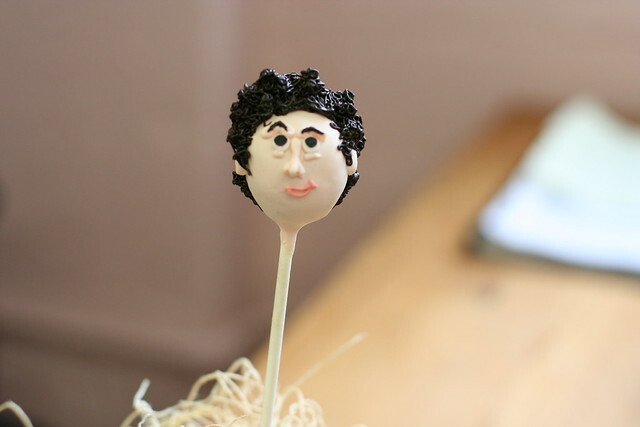 So she sought out to make the most delicious gluten-free cake pops around. We hope you’ll enjoy this new addition to our menu! 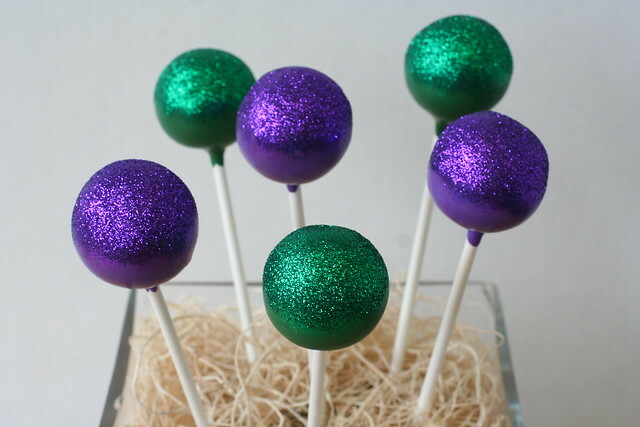 Gluten-Free and Glittery Cake Pops! Mei and Stephen came to us back in November to start the process of ordering a cake pop display in lieu of a traditional wedding cake. They were a lovely couple to work with and their wedding this July in Napa showcased what a truly special couple they are. 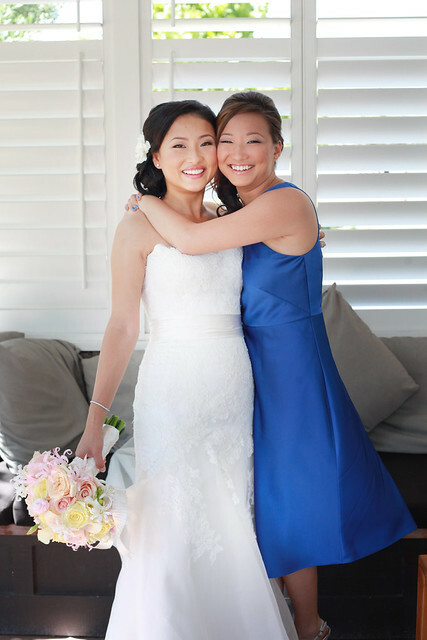 Kate Byars Photography did a gorgeous job of capturing the joyful mood of the day. 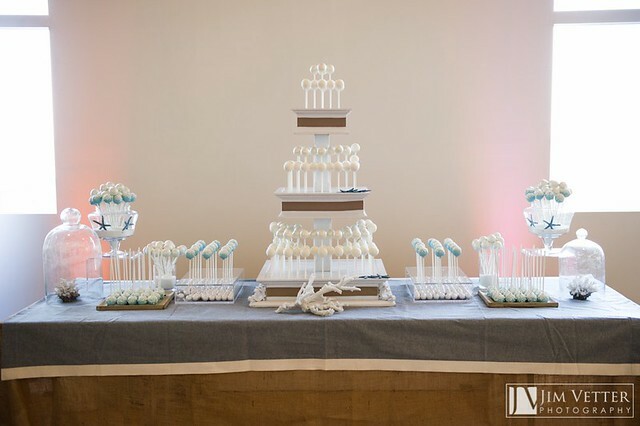 And our cake pops were displayed on our custom white stand in a blue ombre design reminiscent of the bridesmaids dresses. We used flowers from Maki at Viola Flowers to decorate the corners and we love how it all came together! Time Flies When You’re Making Cake Pops! Wow, it’s amazing to think how much this little company has grown in the past three years. 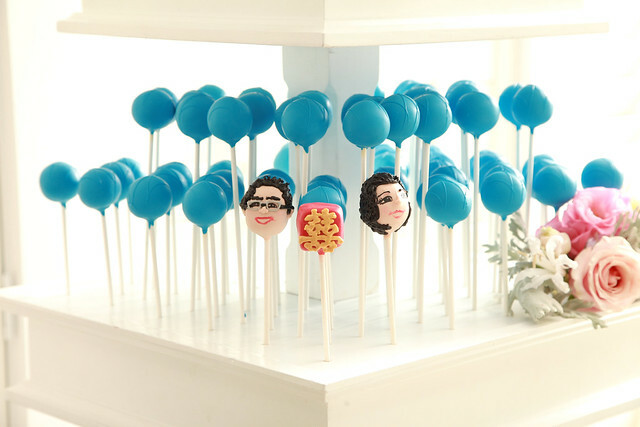 That’s right, just a few weeks ago, Sweet Lauren Cakes celebrated three years in the cake pop business! I know our owner, Lauren is incredibly proud of the business she’s built and the team here is so very thankful for all of our loyal customers and supporters who allow us to create such a fun, yummy, beautiful dessert. A huge thank you to everyone who has made this journey so special for Lauren and her team! Come See Us Saturday at Williams Sonoma Union Square! We’ve been clocking a lot of hours this year at Williams Sonoma! And for good reason! We love spending an afternoon sampling our cake pops in such gorgeous surroundings. Not to mention our fellow vendors sampling everything from olive oil to chocolate babka! It’s a feast for the eyes and stomach! 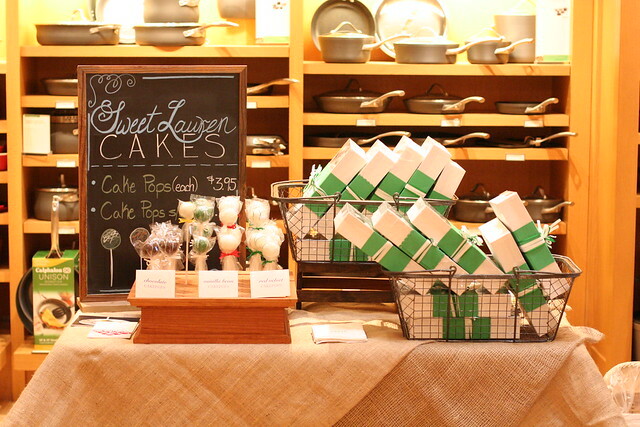 Come on by between 12-4:00PM for a bite and to meet our owner and genius behind Sweet Lauren Cakes, Lauren Martin! Cake and Pie Pops at Williams Sonoma for Amy Atlas Book Signing! Mark your calendars cake pop fans and brides! 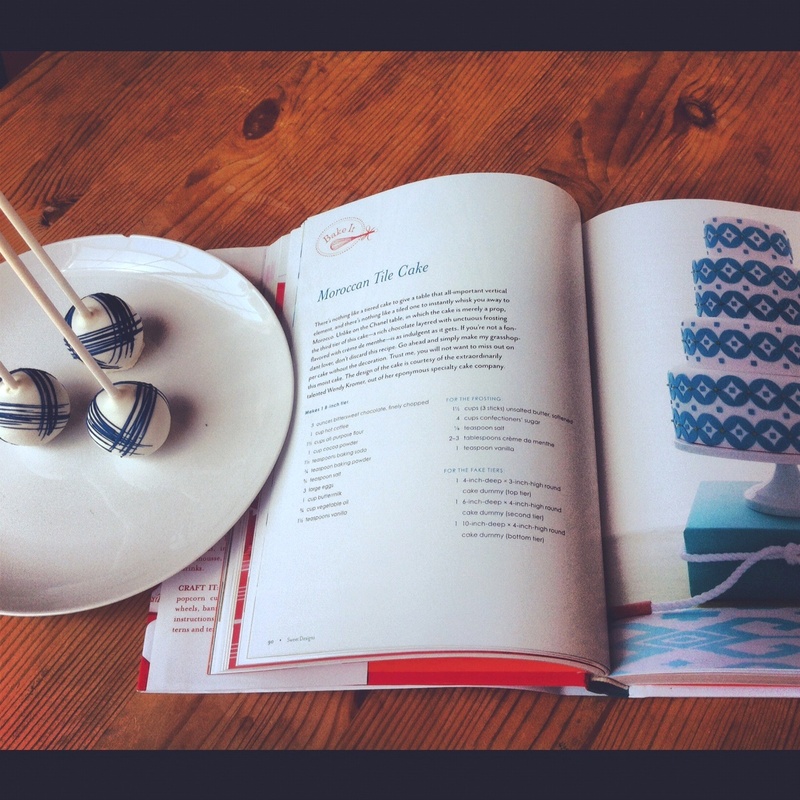 Why: To get your signed copy of Amy’s gorgeous book, Sweet Designs: Bake It, Craft It, Style It. 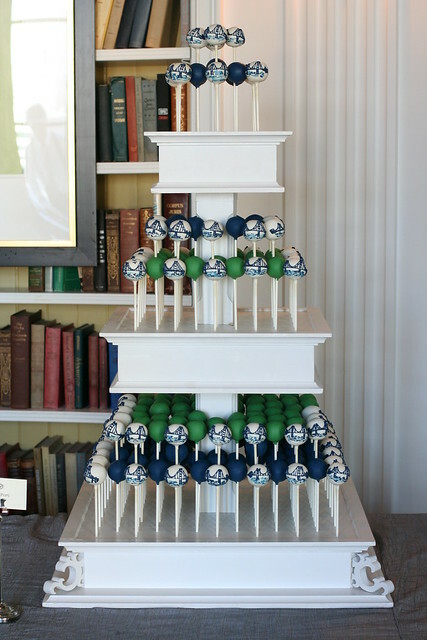 To check out our cake pop and pie pop dessert table inspired by that very book. And most of all, to enjoy our yummy sweets! Why? The better question is, why not?! Checking out Amy Atlas's book while munching on cake pops! 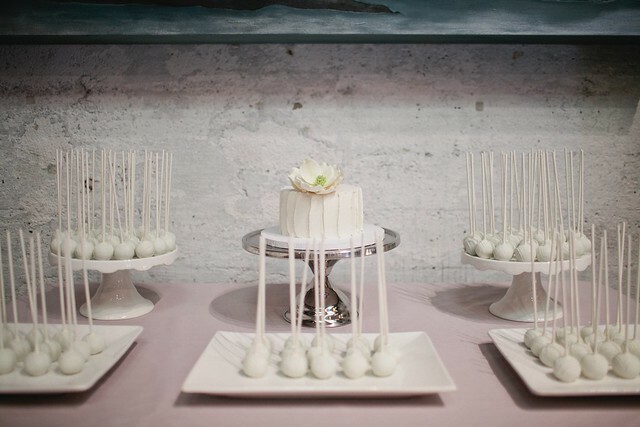 Sneak Peek: Gorgeous V. Sattui Wedding with Cake Pops! We are excited to share a quick sneak peek of this stunning wedding at V. Sattui coordinated by the fabulous Kristen Jensen at Sugar Rush Events and promise to share more once we get the professional images! Our friends at Cake Coquette coordinated the cake with us for a fantastic and impressive display in V. Sattui’s romantic and enchanting wine cave. Also, all of these display stands and pedestals are available for rental! We’d be thrilled to offer display ideas for your next special event!